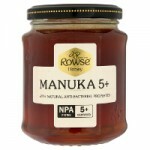 Rowse is a UK firm established in 1954 that imports this certified NPA 5+ manuka honey from New Zealand. This is a mild strength manuka honey that is great for everyday use. 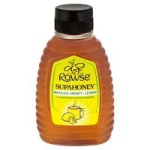 Rowse Supahoney Manuka + Honey + Lemon is a tangy and tempting way to start your day and is made with NPA 5+ Manuka Honey. Dribble it liberally over your porridge.